A few weeks ago, after a long “courting”, Martina has agreed to sell us her precious Campagnolo toolkit. This “box of wonder” is the dream of anybody building bicycles in the traditional way. It includes, in a neatly organised way, every possible tool you may need to prepare the frame after welding and painting, by cutting, chasing, facing and spanning (one of the foundational steps in building a superior bike). You can also find some very specific things here, like the derailleur-hanger alignment tool. Martina is the daughter and heir of our friend and master Gio` Pozzo, founder with Adriano Maccarana of Orcocicli, the historical “bottega” of bike craftsmanship in Milan. 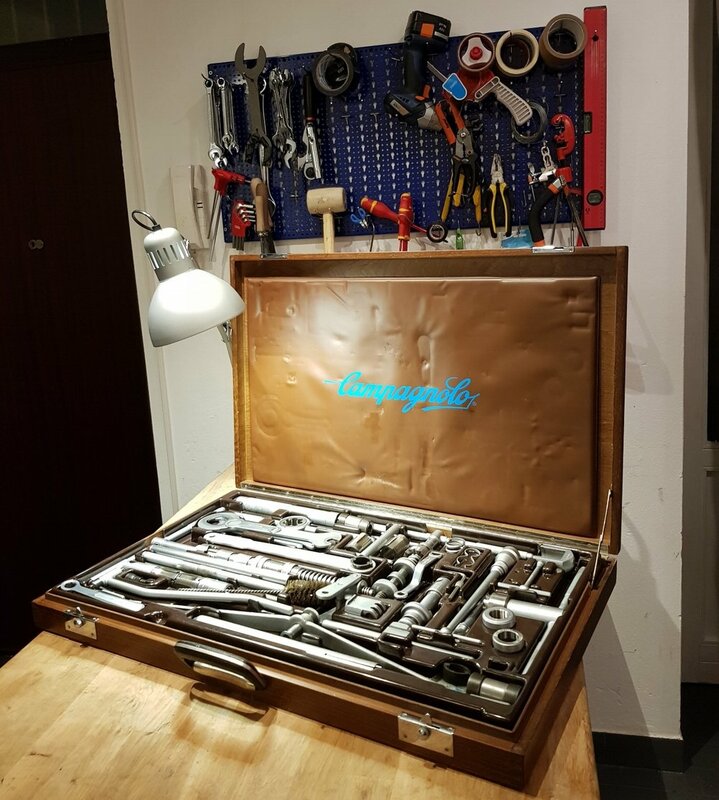 The Campagnolo toolkit belonged to him and we are now very proud to own and use these tools in our Vrum Bikes business, hoping some of the old mastery to be transferred from them to our hands. Our Vrum bicycles will certainly be even better from now on.